Character version of the card, the Dark Magician floats over his base in a dynamic pose ! Dark Magician is a character version of the card, "Dark Magician". He is often used as a Signature card in many of Yugi's Duels. Dark Magician was the monster ka spirit of Mahad who had fused with his Illusion Magician, to return from the dead. The Dark Magician fended off the ghosts and battled Diabound. He then continued to serve the Pharaoh in the form of the Dark Magician. This new release of the Dark Magician features a new paint scheme. The Dark Magician -Duel with Destiny- ARTFXJ statue stands over 30 cm, on a Yu-Gi-Oh! themed base. This 1/7 scale Dark Magician floats over his base in a dynamic pose Display alone or alongside other YU-GI-OH! 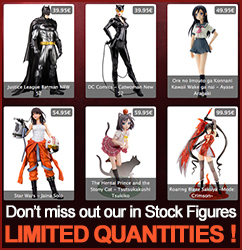 Statues from Kotobukiya such as the Dark Magician Girl, Seto Kaiba, or Yami Yugi!